SCAIME adheres to an everyday quality approach with as objective the customer satisfaction. The products are controlled with test means owned by the company, given the assurance of performance and safety for the customers. Every day, our teams work towards the attainment of major new certifications recognised across the industrial sector. Overall control of our processes is provided by our IS0 9001:2015-certified quality management system, which is intended to ensure customer satisfaction by drawing on the principles of continuous improvement. SCAIME's quality system is certified according to the EN 9100:2016 standard, integrating aerospace requirements. This certification enables SCAIME to position itself in the aerospace market, in particular for activities involving the design and manufacture of onboard force or strain sensors for aircraft. 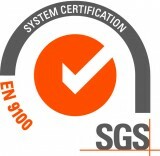 EN 9100:2016 certification by SGS International Certification Services. Dedicated to the aerospace industry, this standard includes additional requirements such as first article inspection, configuration management, and product traceability. The quality system of SCAIME is EN1090 certified in execution class EXC2, related to the European regulation on construction products (N ° 305/2011). This certification allows the CE marking of load cell mounting kits, when they are used as load bearing elements of a building structure. SCAIME has obtained certification for its quality system for the production of weighing instrument parts, AWI or NAWI, according to the requirements of WELMEC guides 8.8, 8.4 and 8.6. This certification by the LNE enables us to fully meet the requirements of European Directives NAWI 2014/31/EU and MID 2014/32/EU. The OIML (International Organisation of Legal Metrology) is a global body encompassing 53 countries, whose aim is to standardise the regulations on metrological controls applied by its member states. OIML-certified sensors can be used across Europe as a module in approval certificates of this type. Our weighing products intended for regulatory use are indicated by the OIML logo. 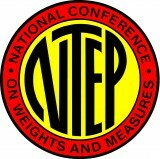 The NTEP is a collaborative programme between the National Conference on Weights and Measures (NCWM) in the USA, state departments and the private sector, for the purpose of determining the compliance of weighing instruments with the required specifications (Handbook 44) by means of legal metrology. SCAIME's production of load cells complies with the "Verified Conformity Assessment Program (VCAP)" administered by the NTEP. This certification enables us to obtain NTEP certificates for the load cells we sell in the USA for regulatory weighing applications. Our weighing products which hold a certificate are indicated by the NTEP logo. The European ATEX Directive 94/9/EC concerns the design and manufacture of systems intended for use in an explosive atmosphere. Our devices intended for installation in a hazardous area come with a certificate of conformity (as an optional extra) and are indicated by the ATEX logo. The IECEx certification scheme is a worldwide certification method for the compliance of electrical equipment used in potentially explosive atmospheres, in line with IEC standards. IECEX is a voluntary certification system. It is not compulsory, and is intended to facilitate the marketing, outside and within the European Union, of such equipment by guaranteeing the level of safety required for its use. Our devices which come with an IECEx certificate of conformity (as an optional extra) are indicated by the IEC IECEx logo. 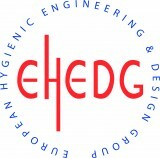 The EHEDG (European Hygienic Engineering and Design Group) is an association devoted to the promotion of hygienic design in food industry equipment. EHEDG certification for a sensor guarantees that it can be fitted, without additional protection, on machines subject to very strict food hygiene conditions. Our weighing products which hold an EHEDG certificate are indicated by the EHEDG logo.